ABU DHABI, 15th April, 2019 (WAM) -- H.H. Lt. General Sheikh Saif bin Zayed Al Nahyan, Deputy Prime Minister, Minister of Interior and Honorary President of the Emirates Strategic Planning and Future Foresight Association, witnessed the activities of the "5th Strategic Planning and Future Foresight Annual Conference," which was held this year under the theme, "Tolerance in Zayed’s Vision," with the participation of Dr. Amal Abdullah Al Qubaisi, Speaker of the Federal National Council, FNC. 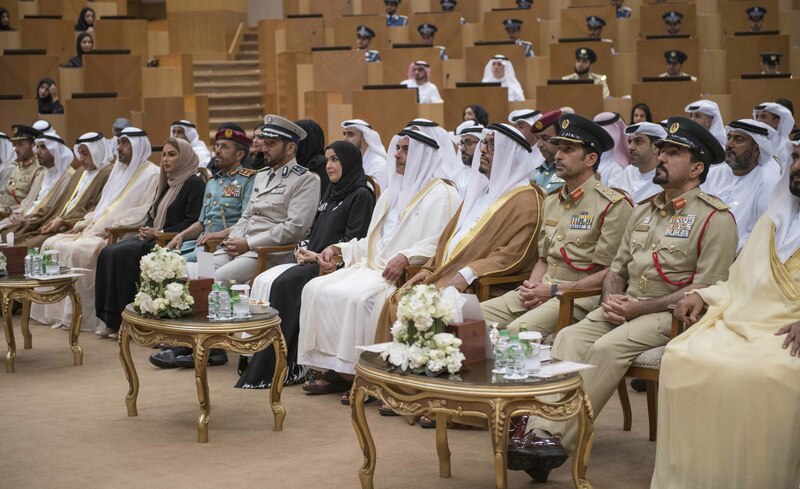 The conference was attended by Lt. General Dhahi Khalfan Tamim, Deputy Chairman of Police and Public Security in Dubai; Major General Faris Khalaf Al Mazrouei, Commander-in-Chief of the Abu Dhabi Police; Major General Khalifa Hareb Al Khaili, Chairman of the Institutional Development Board of the Ministry; Major General Abdullah Khalifa Al Marri, Commander-in-Chief of the Dubai Police; Major General Saif Al Zari Al Shamsi, Commander-in-Chief of the Sharjah Police; Major General Abdulaziz Maktoum Al Sharifi, Director-General of Preventive Security at the Ministry; Major General Dr. Abdul Quddus Al Obaidly, Chairman of the Board of Directors of the Emirates Strategic Planning and Future Foresight Association; Brigadier Mohammed Humaid bin Dalmouj Al Dhaheri, Secretary-General of the Office of H.H. Deputy Prime Minister and Minister of Interior, and several general managers and department directors at the Ministry of Interior. The conference was also attended by Ahmed Shabib Al Dhaheri, Secretary-General of the FNC; Mohammed Salem bin Kardous Al Ameri, FNC Member; Dr. Saeed Abdullah Al Mutawa, FNC Member; Mohammed bin Abdullah Al Mu’alla, Secretary-General of the Emirates Strategic Planning and Future Foresight Association, as well as members of the association and several members of the diplomatic corps. At the start of the conference, the attendees watched a documentary that showcased several statements by the late Sheikh Zayed bin Sultan Al Nahyan on promoting the concept of tolerance as an authentic social value, which is the foundation of communication between communities. 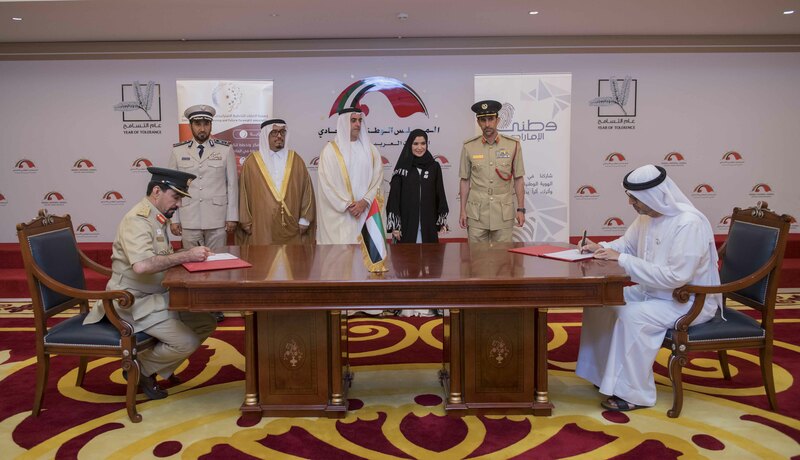 Sheikh Saif honoured the FNC for hosting the conference, as well as the event’s speakers and sponsors. He also received a copy of a book, titled "A Discovering Pencil and Planning Ink," from its author, the student, Osoul Omar Al Suwaidi. 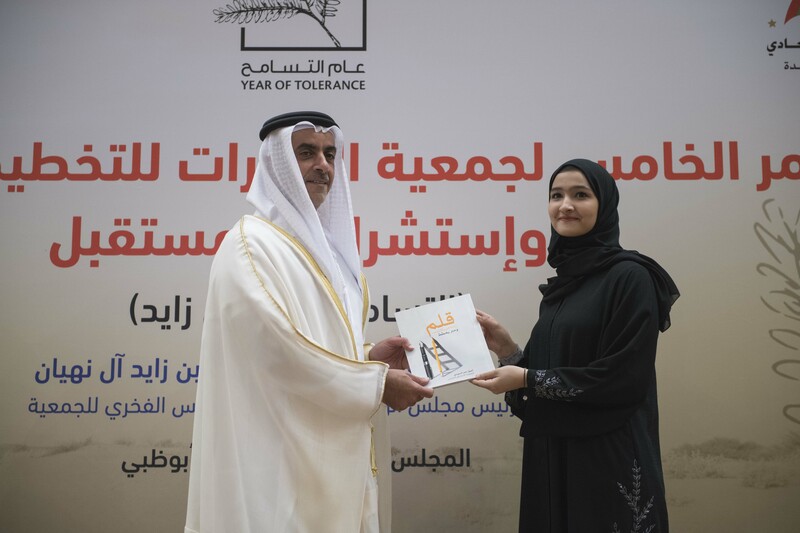 Dr. Al Qubaisi stated that tolerance is a key principle established by the late Founding Leader, Sheikh Zayed, among the UAE’s people, which has become a cornerstone of the directives and policies of the country’s leadership. "While celebrating the Year of Tolerance, we are inspired by the values and principles of Sheikh Zayed in terms of tolerance and coexistence, as leaders, government and people, through his value system," she added. She also pointed out that the Emirati community is known for its authentic heritage in terms of tolerance, multiculturalism, openness and coexistence, which is a legacy that was followed by President His Highness Sheikh Khalifa bin Zayed Al Nahyan, and the Vice President, Prime Minister and Ruler of Dubai, His Highness Sheikh Mohammed bin Rashid Al Maktoum, and His Highness Sheikh Mohamed bin Zayed Al Nahyan, Crown Prince of Abu Dhabi and Deputy Supreme Commander of the UAE Armed Forces, and their brothers, Their Highnesses Supreme Council Members and Rulers of the Emirates, in light of the correct directives of the wise leadership that are an international model to be followed by promoting tolerance and coexistence, earning respect and appreciation of the peoples of the world, through global initiatives launched by the UAE to serve humanity. She also affirmed that Sheikh Saif’s patronage of the conference, which was held at the FNC headquarters reflects the efforts of the wise leadership to spread, strengthen and establish tolerance while pointing out that the conference aims to highlight the stature of coexistence and tolerance in the strategic thought of the Founding Leader, Sheikh Zayed, who was aware of his historic role in creating the country’s future, so he was keen to promote tolerance, coexistence and peace around the world according to the rules of justice and equality.